Thorn is on your side. Sleep tight without all the nightmares. We are the leaders in bed bug detection and elimination. It may feel like the world is coming to an end and you will never feel comfortable in your home again, but there are solutions. We can walk you through how to successfully eliminate bed bugs and help you feel comfortable in your bed again. Our Bed Bug Dog and Heat Treatments have a 99% success rate on complete and full eradication with one treatment. It is that easy! This is generally the first step. Inspection is the first step to establish if you have bed bugs or not. We need to know where they are located as well as the severity of the infestation. Once we know those things, then we can design a plan of action. Our specially trained bed bug dogs often help us with inspections. We consider our dogs as an additional tool to help us locate bed bugs and we always perform visual inspections as well. Our bed bug inspections typically take 60 minutes and can be scheduled to fit your needs. Heat treatments are very effective in eliminating all stages of bed bugs including eggs. Treatments often eliminate all bed bugs in a single treatment. Our heat treatment procedure begins by heating the entire infested space to 135 degrees Fahrenheit using large heaters. Bed bugs and their eggs reach their thermal death point at 122 degrees in under 60 seconds. We also use fans to ensure that hot air is moving around the entire area. Thorn professionals enter the space about every hour to check temperatures using thermal imaging cameras. They will also rotate furniture and belongings to make sure everything gets thoroughly heated. As another tool, we use pesticides in bed bug harborage areas as well as wall voids. Our heat treatments come with a 6 month warranty for commercial properties and a 1 year warranty for single family homes. We are strong believers in preventive bed bug treatments for hotels, apartments, and other locations that are at high risk for bed bugs. For preventative treatments we often apply a light insecticidal dust to areas likely to contain bed bugs. This dust kills all bed bugs that it comes in contact with and stays in place for long amounts of time – keeping you safe from bed bug infestations! These treatments are effective and long lasting. Preventive bed bug treatments can stop bed bug infestations at your property. A valuable tool allowing us to get the best results. We have been working with specially trained bed bug dogs for the past ten years. They are amazing animals that allow us to locate difficult-to-find bed bugs. When dealing with bed bugs or trying to prevent bed bugs, becoming educated on these pests is important. Bed bugs are incredibly interesting. 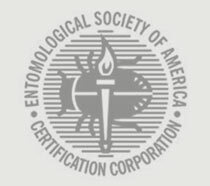 In the last 10 years, these insects have gone from being completely eradicated to being found in almost every city in the United States. That’s a big comeback! Don’t allow bed bugs to take over your home. Arm yourself with knowledge. We are not a one size fits all company when it comes to bed bugs. We protect your home through many different methods. In some situations, chemical bed bug treatments will be your best option. A chemical treatment’s main objective is to get direct contact of our products to every bed bug and bed bug egg. This is a very thorough process. Chemical treatments generally require about 4 treatments spaced out by 10 days each. We use desiccant dusts and modern dual active pesticides. Training your team on bed bug behavior and how to respond to a bed bug infestation is critically important. We provide important and engaging bed bug trainings to help you be proactive against bed bugs. 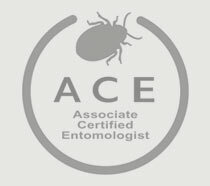 Prepare your team by educating them on bed bugs and how to respond to issues. We're ready to take on bed bugs.